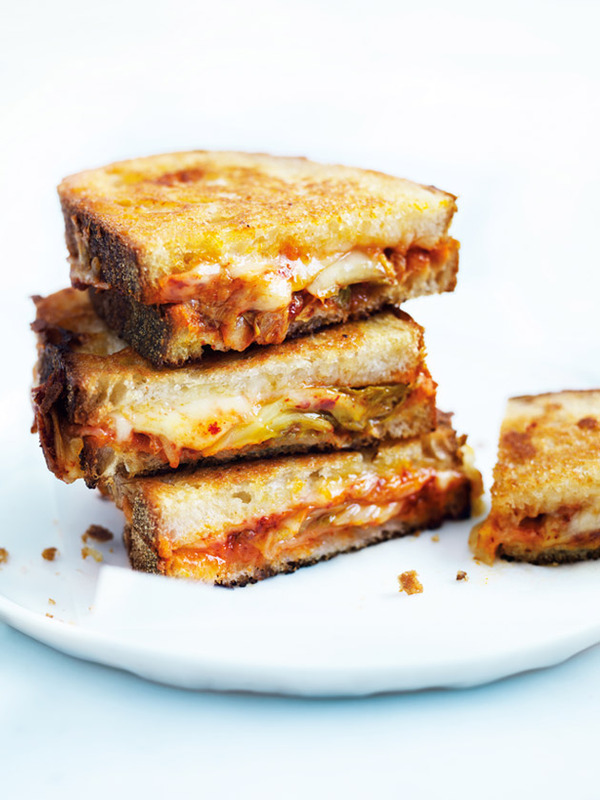 Divide half the combined cheeses between two of the sourdough slices, top with the kimchi and remaining cheese. Sandwich together with the remaining bread and spread the outsides with butter. Heat a medium non-stick frying pan over medium heat and cook the sandwiches for 3 minutes or until golden. Turn and cook, covered, for a further 3 minutes or until golden brown and the cheese is melted. Serves 2.